Bangladesh and Russia have signed a protocol to amend the intergovernmental agreement on Rooppur NPP construction. The amendments provide for the involvement of specialized Russian companies in designing and installing security systems at Rooppur’s main and auxiliary facilities. According to the protocol, all security measures will be in accordance with IAEA requirements and guidelines. The document was signed by Alexey Likhachev, Rosatom Director General, and Yafes Osman, Bangladeshi Science and Technology Minister, on September 17 on the margins of the IAEA General Conference in Vienna. Rooppur NPP will be based on two Russian-designed VVER-1200 reactors with a total capacity of 2400 MW. 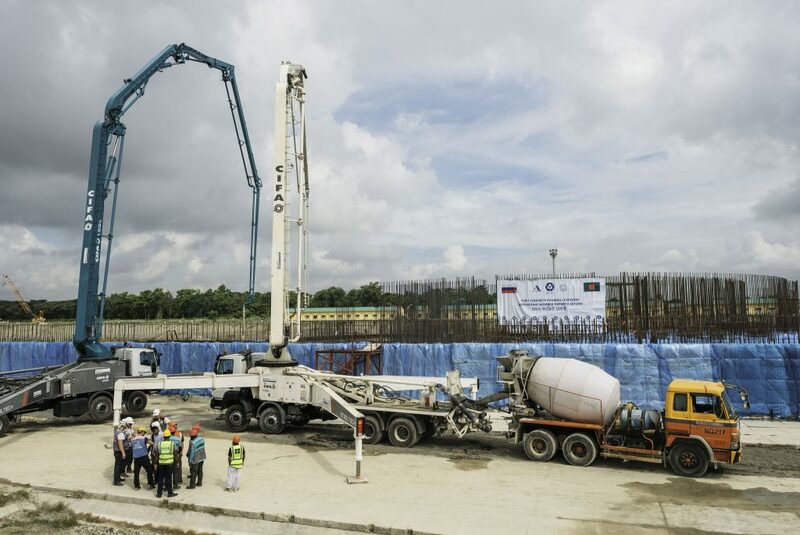 The plant is now constructed 160 km away from Dhaka, the capital city of Bangladesh, in accordance with a general contract signed on December 25, 2015, with ASE Group (Rosatom’s engineering division) acting as the general contractor. The VVER-1200-based design selected for the country’s first nuclear power plant has already been successfully implemented at Unit 1 of Novovoronezh II. The Generation 3+ design meets all international safety requirements.